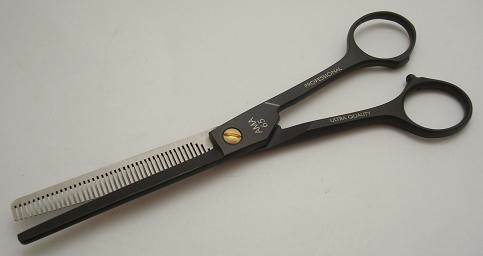 Replacement for the famous Gotta 65 thinning scissors. Top quality carbon steel with a black finish. Plastic stopper between the bows.